There are several reasons why you should maintain a legal blog on your law firm’s website. One of them is to solidify your reputation as an expert in your field of law. While this is especially important if you’re blogging for referral clients by catering your blog’s content to other lawyers, lay readers also appreciate the time and energy that goes into a quality legal blog post that helps them understand a complex issue of law. That’s why it’s important to use your legal blog to delve into substantive issues in your field, even if the vast majority of your clients do not find you through a referral by another attorney who was impressed by your legal expertise in your field. Here’s a blog sample that shows what that can look like for a criminal defense attorney. The Supreme Court of the United States is about to hear one of the most important criminal defense cases in the past few years: Carpenter v. U.S. 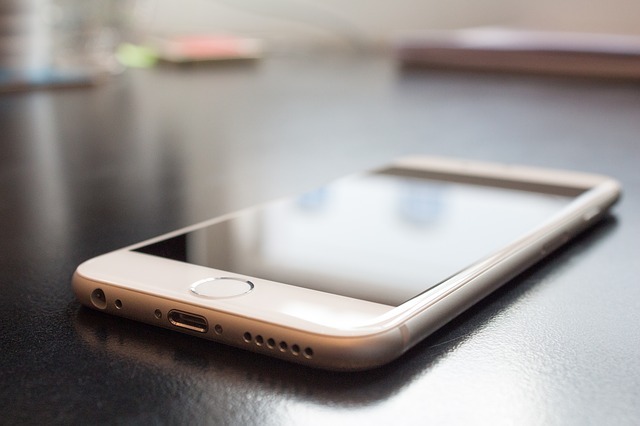 The case deals with whether police need a warrant in order to get records from your cell phone provider, including information that shows your cell phone’s location. What Happened in Carpenter v. U.S.
After a string of robberies in the Detroit area, police made a handful of arrests. One of those arrested confessed to being involved and offered his cell phone to the police, who then identified 16 other phone numbers of interest. The police then got the cell phone carriers to provide information on those cell phones, including information on the phones’ locations during the robberies. This location information led to the arrest and eventual conviction of Timothy Carpenter. Carpenter highlights an important aspect of your Constitutional rights under the Fourth Amendment, which prohibits “searches” that are “unreasonable.” Searches are considered unreasonable if they are done without a warrant, and without falling into one of the small handful of exceptions to the warrant requirement. However, when police obtain information that you’ve voluntarily given to a third party, it’s not even considered a “search” under the Fourth Amendment. This idea is called the third party doctrine, and allows law enforcement access to vast amounts of information on your life. In Carpenter, that information happened to be the location of Carpenter’s cell phone, which he was voluntarily offering to his cell phone carrier in order to get cell phone service to make calls or send texts. However, the Supreme Court has used the third party doctrine to give police access to other sources of information that they can use to find evidence of a crime, including your garbage and who you call on your phone. While her words in that case were off point and did not change the outcome of the case, they were a huge signal to attorneys everywhere that the Court was interested in hearing another case that dealt squarely with the third party doctrine so they could revisit and perhaps overturn it. Carpenter is that case: It allows the Supreme Court to review the third party doctrine and determine if it is still reasonable for law enforcement to get such easy access to such vast amounts of data, or if the modern age has made it such an extreme invasion of privacy that they should need to get a search warrant, first. Obviously, the depth of legal analysis in this post is less than what you would expect from a post that targets other attorneys, with the goal of obtaining referral clients. However, there is nothing saying that you should limit your analysis of a legal topic to a single, 476-word blog post: As we’ll go over in our next couple of articles, there’s no reason why you can’t write a serious of legal blog posts on a specific issue. Legal blog posts that are interconnected are hugely valuable for your readers and can drive your law firm website’s web traffic as they go from one post to another, to another. This entry was posted in Legal Blog Writing and tagged Blog Content, Blog Samples, Blog Style, Reputation, SEO Techniques, Writing Tips. Bookmark the permalink.